I have a photograph of myself at five years old with a tiny plastic camera strapped to my wrist. My father, an amateur photographer at the time, must have been responsible for this. After high school he took me to buy my first 35mm camera. It was a Contax with a Zeiss lens. I was pretty proud of it. I remember him taking me to a neighboring town to practice night photography; a priest came out of the church to see what we were up to. Not much has changed since. I still enjoy shooting at night and I'm still being questioned about why I am making photos of people’s homes. I learned photography with film cameras but switched to digital about 10 years ago. The convenience is wonderful, the cost and the quality are impressive, but, I've recently returned to film. Looking through my vintage camera feels like I am connected to the past while exploring the present. In the late 80’s I worked for the Herald Examiner in downtown Los Angeles, where I dropped off rolls of Tri-X at 3:00 am that were printed by the following day. In the 90’s I studied photojournalism and studio photography with medium and large format cameras. My work has been published in The Sun Magazine, Photographer’s Forum, and The Village Voice and I have exhibited in Los Angeles and New York. As a child, my mother would occasionally let me stay home from school to watch old movies. I loved the colors, the light and the composition of the scenes. My mother, our dog, and I would lie on the couch and watch classic films while the raindrops slid down the window pane. Most of my photography involves home in some way. "Home" has become a symbol for something that I have lost and something that I am continually seeking. 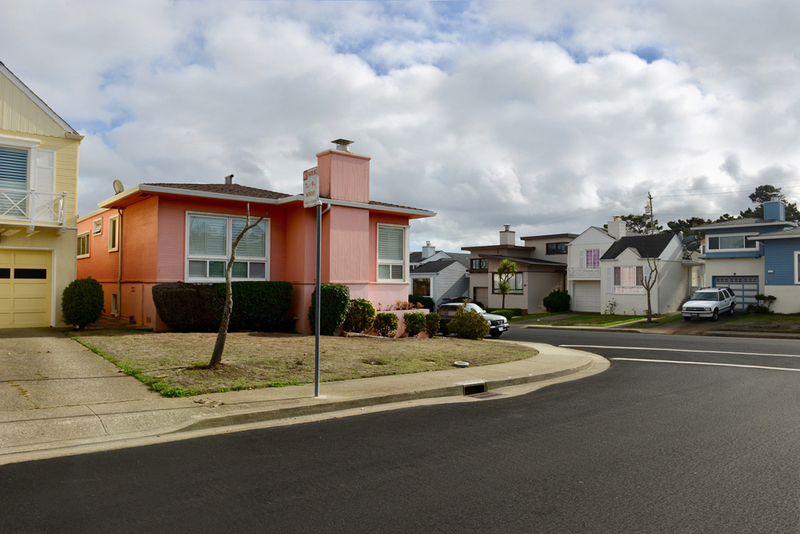 I am currently documenting residential neighborhoods in the American West. When I am not searching for new places to photograph, I am probably watching a dark Scandinavian detective film, or raising exotic birds. I divide my time between Oregon and Los Angeles.